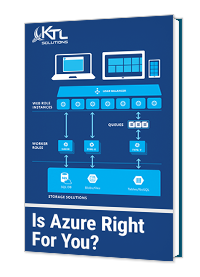 Want to manage your own Microsoft licenses, but still get the support and benefits of going through a partner? KTL’s new Cloud Solution Provider (CSP) Portal allows you to do just that. With the CSP, adding and removing existing licenses is a breeze with real-time integration with Office 365. Want to add a new license? KTL’s CSP Portal allows you to do that as well, all while being PCI compliant by using a secure payment integration to process transactions. If you have already partnered with KTL to get your Microsoft licenses, then getting started is very simple; simply go to https://csp.ktlsolutions.com where you will be greeted with the login screen. Select ‘Log in with Office 365.’ If this is the first time logging in to the portal, you may be asked to give consent for the CSP to access basic information about your Office 365 account. Once accepted, you will be redirected back to the Cloud Solution Provider Portal. You should now see the home screen that displays your name and your company name. Congratulations, you have successfully set up your account with the KTL Cloud Solution Provider Portal. If you are having trouble getting set up in the CSP Portal, here are a few solutions to common problems. If KTL is not set up as your Microsoft Partner, please contact KTL. You will not be able to access KTL’s CSP Portal without our help first. 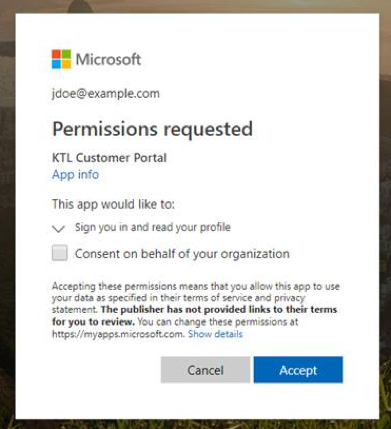 If you have this done and are unable to consent to giving KTL access to your basic Office 365 information, then please have an administrator for your tenant give consent for you. Lastly, if you have done the previous steps and then get an access denied message, then you need to contact your account manager to set you up inside of the CSP. ACH is the preferred payment method with the Cloud Solution Provider Portal. ACH can be set up by entering the requested information. Once you have saved the information, you will need to verify your account. You will receive two micro-deposits into your account within the next 1-2 business days. Once received, go back to the profiles section where your saved profile will have a verify button next to it. Click the button and you will be asked to enter the micro-deposits that you have received. Note that the value is in cents. Once saved, you will be able to use the new ACH profile to complete transactions. Credit cards are very simple to set up and just requires the requested information. Credit cards will be validated instantly and, unlike ACH, verifying the credit card via micro-deposits is not required. Credit cards make getting started managing licenses quick and easy but is not the recommended method for managing licenses inside of the Cloud Solution Provider Portal. The default billing profile is the profile that will show up first when checking out. While the CSP supports multiple billing profiles, the default billing profile should be the profile in which most of the transactions will go through. In the future, the default billing profile will be used with automated billing. The default billing profile can be changed by going to the profiles section and checking the ‘Default’ checkbox for the desired default profile. Managing Licenses is easy and intuitive with KTL’s Cloud Solution Provider Portal. By going to the ‘Subscriptions’ page under the ‘Office 365’ section you can quickly view a list of your subscriptions and add-ons. Clicking on a subscription will take you to the management page where you are able to update the number of licenses that you have. Select ‘Add/Remove Licenses’ to open the subscription management popup. Select ‘Add Offers’ next to ‘Add-ons’ and you will be greeted with the add-on page. 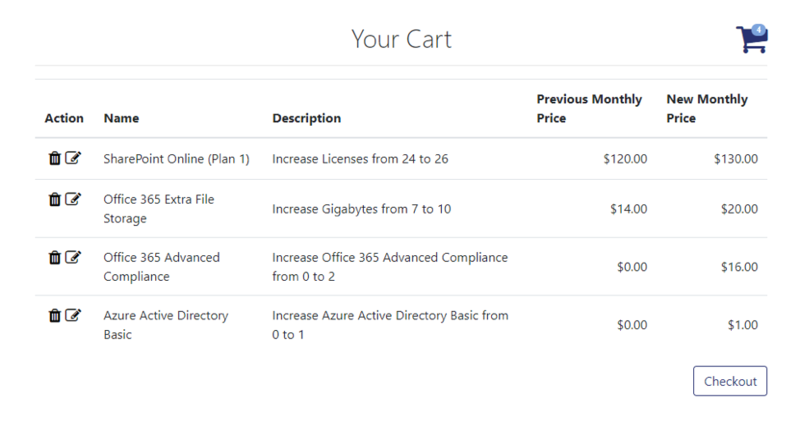 Increment an add-on to the desired quantity and then select ‘Add Offers to cart.’ Some add-ons may be grayed out which means that they require an existing subscription that you do not currently have. Once you have the correct prerequisite, you will be able to checkout with the desired add-on. Adding a new offer is similar to adding an add-on but is currently not available to all clients. If you are able to add new offers, you can do so by selecting the ‘Offers’ link under ‘Office 365’. You will be greeted with a searchable list of available offers. Clicking into an offer gives you the option to add an offer as well as add add-ons for the offer if desired. Once you have made the desired license quantity changes, you are able to purchase them by selecting the cart in the top right-hand corner. From this screen you can view the quantity changes you have made as well as the new monthly cost of these changes. If you decide that you do not want one of these licenses, you are able to delete a cart item by selecting the delete icon. Similarly, you can edit the quantity of a cart item by selecting the edit icon. When you are satisfied with the changes, select Checkout to review the pro-rated price of the licenses before paying the amount. Select Confirm to be redirected to pay for the licenses. After purchasing licenses, how long do they take to show up? KTL’s Cloud Solution Provider Portal uses the partner center’s API to provide near real time license changes. Once a license has been purchased, you will be able to see it within a couple minutes. How do I assign purchased licenses? Currently the CSP Portal allows clients to add and remove licenses. To assign purchased licenses to users, please go to either the Azure Management Portal or the Office 365 Admin Page. Can I manage my Azure Subscriptions through the CSP? KTL is planning on adding Azure Subscription management shortly, but currently does not support azure usage subscription management. KTL is committed to consistently improving the Cloud Solution Provider Portal experience by adding new features that make it easier for clients to manage their licenses. 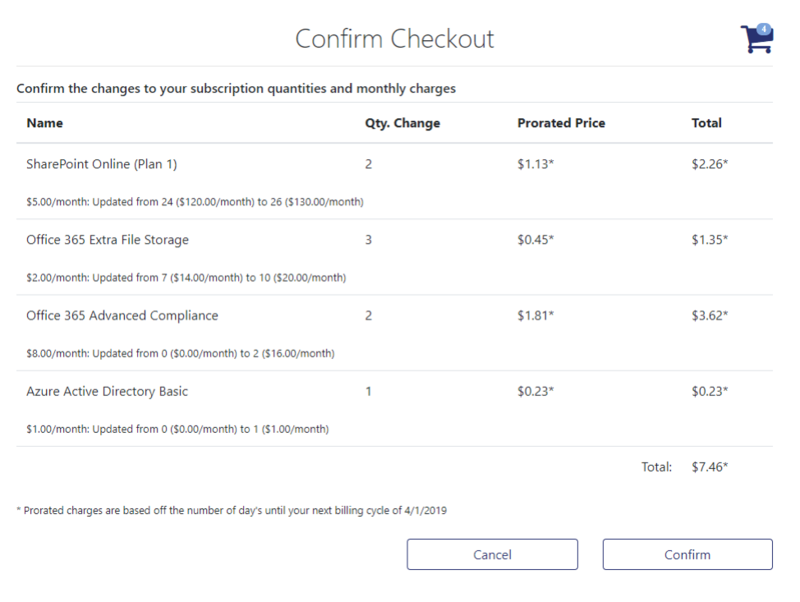 KTL is working on allowing customers to manage their azure usage subscriptions through the CSP as well as being able to view their current usage. KTL plans on setting up automated billing for customers in the near future so that customers can use their subscriptions without having to manually pay invoices each billing period. KTL is also looking into providing helpful metrics so that clients can be more informed about managing their licenses. If you need help with the CSP portal, or would like to know more about it, contact us today.